Some things are simply destined to be together. A triple shot of vodka and a glass of cola. A ferocious hangover and oven chips with gravy. There are countless combinations of perfect matches like these examples out there. During a recent shopping adventure, I picked up two products that seemed to scream ‘combine us’ from my grocery basket. First up we have an old faithful in Linda McCartney sausage rolls. Vegans do need to be careful when purchasing from this company as some products in their range contain milk and/or egg. The sausage rolls however are suitable for a cruelty-free diet and are crispy perfection when you follow the cooking guidelines carefully. You recieve 6 per box and the frozen snacks are free from artificial preservatives and flavours. They make a quick, simple snack and are available in shops all over the UK. 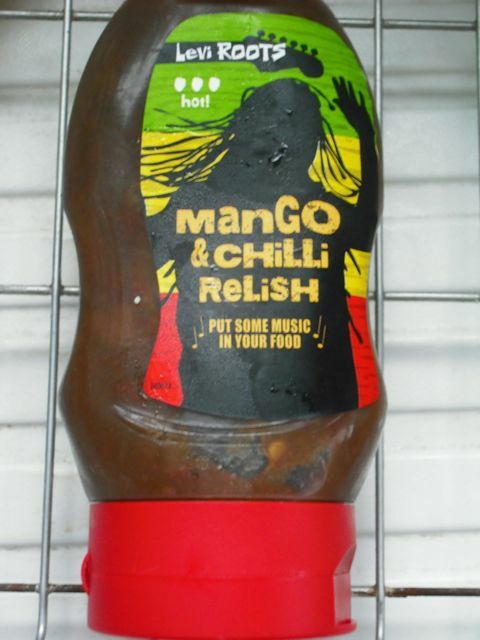 Second in this perfect partnership is Levi Roots’ Mango & Chilli Relish. Yes, it is as delicious as it sounds. Levi is an interesting individual who was able to launch his range of sauces through the success he found on a reality TV program on the BBC. Dragon’s Den peddles the premise of investors testing would be entrepreneurs in order to discover if they are worthy of their capital. Levi apparently was worthy and so we now have ready access to his gorgeous products that include the outrageously-delicious vegan Reggae Reggae Sauce. It is a BBQ jerk experience like no other. Neither company mentioned in this blog is entirely vegan. Neither, as far as I can tell, intends to become entirely vegan. But both clearly label which products are vegan and the majority of their lines seem to be without animal ingredients. And how perfectly matched are these products? They are the Donny and Marie of the vegan snack world. 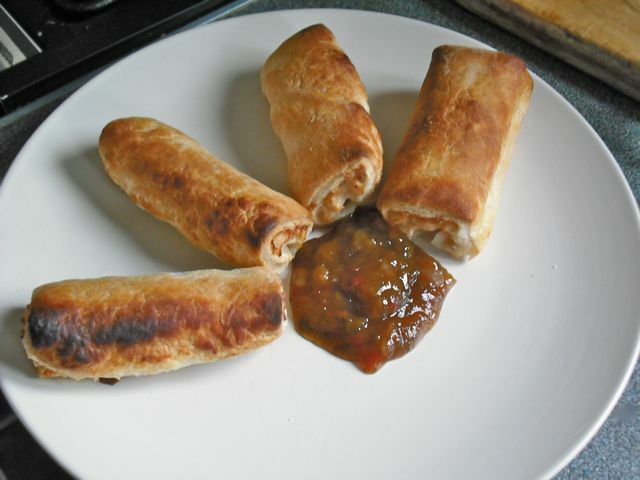 Crispy, steaming sausage rolls dipped in fruity and spicy relish served chilled. It was meant to be. Do you know if the Donny & Marie of the vegan snack world are sold in the US? I’d like em! 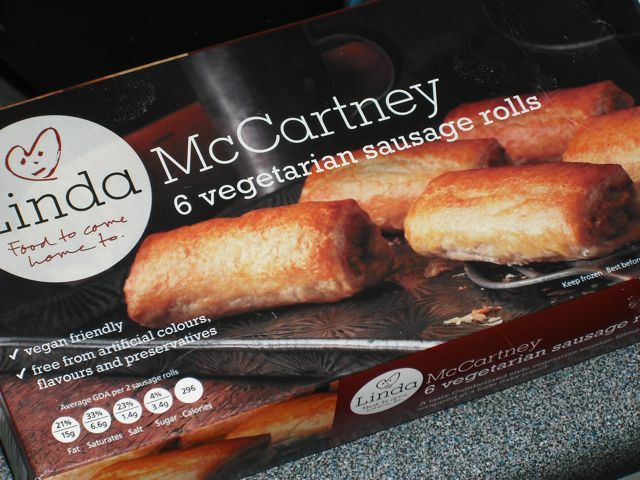 I have heard whisperings of Linda McCartney goods available in LA. I don’t think they are readily available. The relish would be even rarer. Let me know if you see them. I’ve seen the Linda McCartney foods here in New Jersey, I’m not sure about this product specifically. I have not seen the relish although I agree it looks yummy!